Dinner last night at Applebee's, on Hintington Drove. 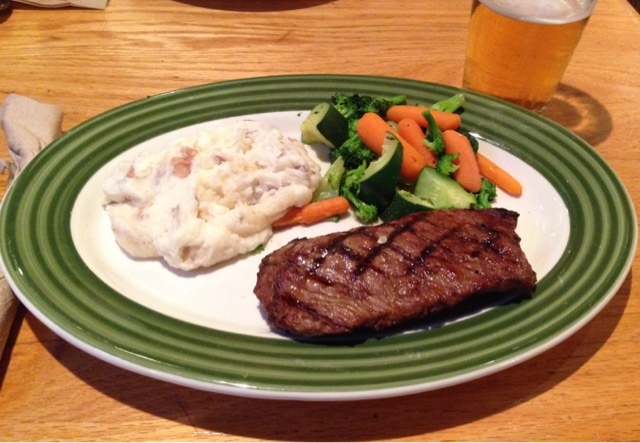 Got the 9 ounce house steak ($14.99) and a beer ($6.49). Nice service and nice, juicy steak.